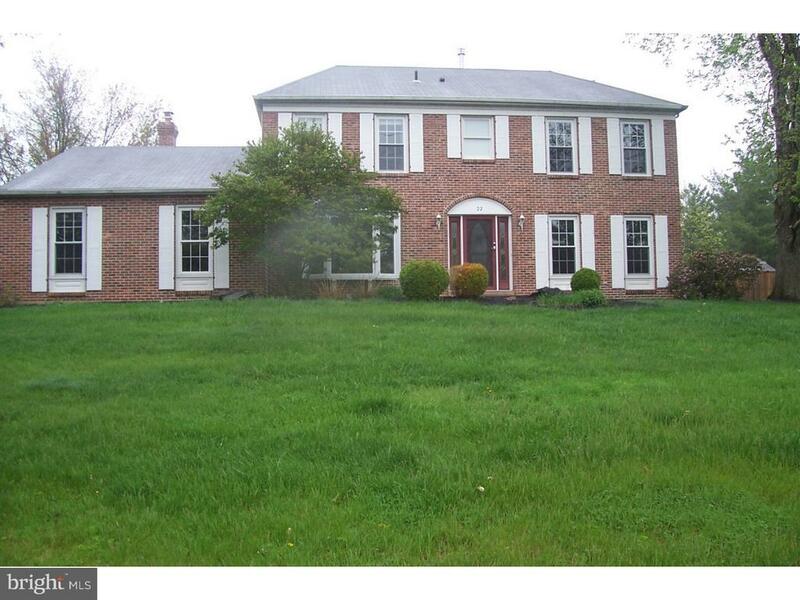 This fabulous Center Hall Colonial situated on a wonderful park like lot. This wonderful, spacious & meticulously maintained home is a testimony to the enduring quality of good design. The elegant wood flooring in kitchen, and Whirlpool Stainless Steel Appliances! Fabulous light filled Lawrenceville Green Colonial on a lush level lot is sure to impress. Some of the highlights of this home are the large wood beamed skylight breakfast room with gas fireplace, upgraded master bath with jacuzzi, paver hardscaped front walkway and back yard, large deck that leads to the natural gas grill, wet bar, woodburning fireplaces on the first floor rooms, & 6 zone programmable irrigation system. Main floor powder room is easily accessible as is an attached two-car garage. The master bedroom has a separate sitting room and there are three additional bedrooms that add to this living space. Add to that a cavernous full basement and you have your perfect new home! Minutes to the train station, all major highways and downtown Princeton, major corporate parks and the new Capital Health Medical complex and this one deserves a look.